Andre A. Khansari, founding member of Khansari Law Corp., APC has represented a variety of individuals and corporate clients in bankruptcy, real estate, business and personal injury related matters. Based on his level of education and experience, he is undoubtedly regarded as a top attorney not only by peers and the legal community, but more importantly by his clients. He has successfully represented numerous individual and small/large company clients over the years, including consulting and engineering companies, commercial and residential real estate developers, real estate investment firms, operators of master planned communities, merchant builders, golf courses and country clubs. In his bankruptcy law practice, Mr. Khansari has particular expertise in representing business and individual debtors, debtors in possession, creditors, trustees, receivers and concentrates in all areas of insolvency, bankruptcy (including Ch. 7, 11 and 13) out of court workouts and collection actions. 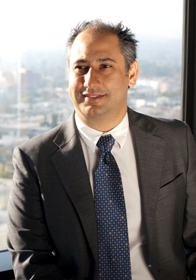 Mr. Khansari's extensive bankruptcy law interest and background has stemmed from serving as a judicial extern for the Honorable Vincent P. Zurzolo, U.S. Bankruptcy Judge for the Central District of California, whereby he researched, analyzed and evaluated motions to be heard before the Court. As an extern, he was able to gain a substantial amount of experience in Chapter 7, 11 and 13 cases. Since his clerkship, Mr. Khansari has practiced bankruptcy law and flourished with two premiere international bankruptcy firms, representing large cap companies, including banks, high net worth individuals, celebrities in financial distress, and Ch. 7 panel trustees in the Central District of California. With regard to his commercial and real estate practice, Mr. Khansari has represented entities and individuals from the litigation and transactional standpoint. He is regularly consulted by commercial and residential real estate clients such as landlords/tenants, purchasers and sellers, commercial and residential real estate developers, joint venture partners, limited partners, and has substantial experience in representing commercial/residential landlords and tenants with regard to unlawful detainers, evictions and foreclosures. Further, Mr. Khansari has insurmountable experience in representing local and national residential lot developers in all phases of development, from acquisition and entitlement, drafting CC&Rs through the first sale of units. Mr. Khansari has handled real estate related issues at some of the largest real estate law firms in California and brings his real estate knowledge and experience to Khansari Law Corp., APC. To add to his bankruptcy, real estate and commercial law practice, Attorney Andre A. Khansari also handles personal injury related matters. Mr. Khansari's impressive resume includes handling both personal injury and property damage claims arising from premises liability, assault and battery claims, negligence claims, intentional offense claims, product liability claims, defamation claims, invasion of privacy claims and emotional distress claims. In his personal injury law practice, Mr. Khansari has substantial experience in representing victims of automobile collisions in collecting property damages, including loss of use, bodily injury damages (serious and soft tissue), lost wages and general damages for pain and suffering. Prior to becoming an attorney, among other professions, Mr. Khansari was a licensed property and casualty insurance agent for one of the largest auto insurance companies in the nation. Khansari Law Corp., APC is dedicated to achieving the best possible results, with integrity and experience. Khansari Law Corp., APC's founding member, Andre A. Khansari, is a graduate of the University of Southern California School of Law and has practiced with several large international law firms. With Khansari Law Corp., APC, you retain big law firm counsel at small law firm fees. Please contact Andre Khansari at Khansari Law Corp., APC to discuss your case and set up a consultation. We are a debt relief agency. We help people file for bankruptcy relief under the Bankruptcy Code. Our lawyers in Los Angeles serve clients in Southern California, including Los Angeles, Santa Monica, West Los Angeles, Sherman Oaks, Culver City, Long Beach, South Bay, Westwood, Brentwood, Burbank, Beverly Hills, Woodland Hills and Van Nuys.